To answer this question we need to take a trip back in time, so let's hope in the Episode Alerts time machine and warp through time. Let me paint a picture for you; the year is 1966. Radio's were blaring the Monkees Hit I’m A Believer all over the country. The Boston Celtics were victorious over the LA Lakers to win the NBA Championship. 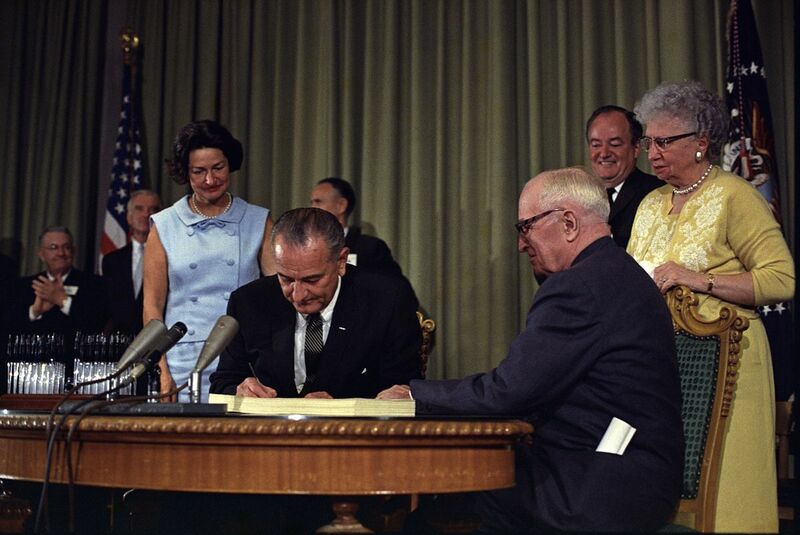 However, for us, the most important event for all of us was President Lyndon B Johnson signing of the H.R. 6675 legislation for what we know as Medicare, which would allow Americans to start receiving Medicare health coverage when Medicare’s hospital and medical insurance benefits. Fun Fact: President Lyndon B Johnson would be the first American to receive a Medicare card. which happened during the signing in Independence, Missouri. President Johnson may have been the one to finally sign legislation but the road to get there was a long one. In fact, we can warp all the way back to 1912 where President Teddy Roosevelt talked about the need for health insurance in his run to become president. Even President Robert F Kennedy made an unsuccessful attempt to sway Congress into creating a national healthcare program for seniors. It has been a long hard fight for many great men and women to bring Medicare from just an idea into reality. We must always be grateful to those who have fought so hard to make our lives a little better. Fun Fact: Currently there are 44 Million beneficiaries enrolled in Medicare, and it is estimated that nearly 80 million beneficiaries will be enrolled in Medicare by 2030. Ok, everyone back in the time machine we are heading to 2003 and talking about Medicare Administrative Contractors (MAC). Who are the Medicare Administrative Contractors (MAC)? But wait what is a MAC you ask? Well, let me give you a little history lesson. A Medicare Administrative Contractors or MAC for short is a private health insurer who has been granted certain geographical jurisdictions in the USA by CMS to process Medicare Part A and Part B (A/B) medical claims or Durable Medical Equipment (DME) claims for Medicare Fee-For-Service (FFS) beneficiaries. Original MACs were known as Part A Fiscal Intermediaries (FI) and Part B carriers. In 2003, they were renamed to Medicare Administrative Contractors via Section 911 of the Medicare Prescription Drug Improvement, and Modernization Act (MMA) of 2003. Currently, there are 12 A/B MACs and 4 DME MACs. These MAC's service nearly 1.5 million health care providers enrolled in the Medicare FFS program and process more than 1.2 billion Medicare FFS claims annually. Try wrapping your head around those numbers! First off we will start with Palmetto GBA who was founded in 1965, and their headquarters can be found in Columbia, South Carolina. They currently have more than 1,500 associates in offices in Alabama, Georgia, and South Carolina. Palmetto GBA handles jurisdiction M and J which covers North Carolina, South Carolina, Virginia, West Virginia (excludes Part B for the counties of Arlington and Fairfax in Virginia and the city of Alexandria in Virginia) Alabama, Georgia, Tennessee. Home Health and hospices for the following states: Alabama, Arkansas, Florida, Georgia, Illinois, Indiana, Kentucky, Louisiana, Mississippi, New Mexico, North Carolina, Ohio, Oklahoma, South Carolina, Tennessee, and Texas. Next, we have National Government Services (NGS) National Government Services (NGS) has been providing health care services to the federal government since its inception in 1966. 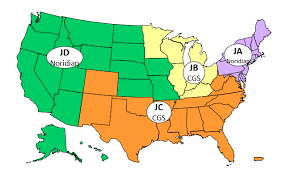 NGS handles jurisdiction 6 and K covering Illinois, Minnesota, Wisconsin Connecticut, New York, Maine, Massachusetts, New Hampshire, Rhode Island, Vermont. Home Health and Hospices for the following states: Alaska, American Samoa, Arizona, California, Guam, Hawaii, Idaho, Michigan, Minnesota, Nevada, New Jersey, New York, Northern Mariana Islands, Oregon, Puerto Rico, US Virgin Islands, Wisconsin and Washington, Connecticut, Maine, Massachusetts, New Hampshire, Rhode Island, and Vermont. Novitas currently handles Jurisdiction H which includes: Arkansas, Colorado, New Mexico, Oklahoma, Texas, Louisiana, Mississippi. First Coast Service Options First Coast Service Options was founded in you guessed it 1965. Its current headquarters can be found in Jacksonville FL. First coast currently handles Jurisdiction N which includes the following: N Florida, Puerto Rico, U.S. Virgin Islands. First, we have Noridian Healthcare Solutions in business for more than 50 years. They have been twice awarded the Medicare and Medicaid customer service program of the year award. Their headquarters can be located in Fargo, ND. 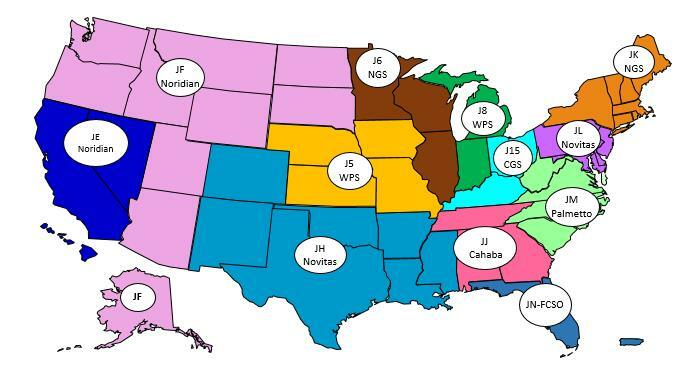 Noridian handles Jurisdiction F & E Alaska, Arizona, Idaho, Montana, North Dakota, Oregon, South Dakota, Utah, Washington, Wyoming, California, Hawaii, Nevada, American Samoa, Guam, Northern Mariana Islands. Noridian also handles Jurisdiction DME A & DME D which includes: Connecticut, Delaware, District of Columbia, Maine, Maryland, Massachusetts, New Hampshire, New Jersey, New York, Pennsylvania, Rhode Island, Vermont, Alaska, Arizona, California, Hawaii, Idaho, Iowa, Kansas, Missouri, Montana, Nebraska, Nevada, North Dakota, Oregon, South Dakota, Utah, Washington, Wyoming, American Samoa, Guam, Northern Mariana Islands. Last but certainly not least we have CGS Administrators. CGS is a leading provider of administrative services for healthcare programs and stakeholders, including Medicare beneficiaries, providers, and medical equipment suppliers. We leverage more than 50 years of experience to help you lower operational costs, streamline revenue- and time-consuming processes, and provide world-class customer service. CGS currently handles jurisdiction 15 which includes: Kentucky, Ohio. Also, they handle home health and hospice for the following states: Delaware, District of Columbia, Colorado, Iowa, Kansas, Maryland, Missouri, Montana, Nebraska, North Dakota, Pennsylvania, South Dakota, Utah, Virginia, West Virginia, and Wyoming. 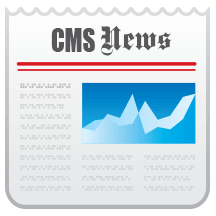 CGS takes care of Jurisdiction DME B and DME C which covers: Alabama, Arkansas, Colorado, Florida, Georgia, Louisiana, Mississippi, New Mexico, North Carolina, Oklahoma, South Carolina, Tennessee, Texas, Virginia, West Virginia, Puerto Rico, U.S. Virgin Islands, Illinois, Indiana, Kentucky, Michigan, Minnesota, Ohio, Wisconsin. I hope our little time traveling adventure has helped you understand Medicare and it's Medical Administrative Contractors a bit better. Or at least helped you realize how big and complex the world of Medicare is. 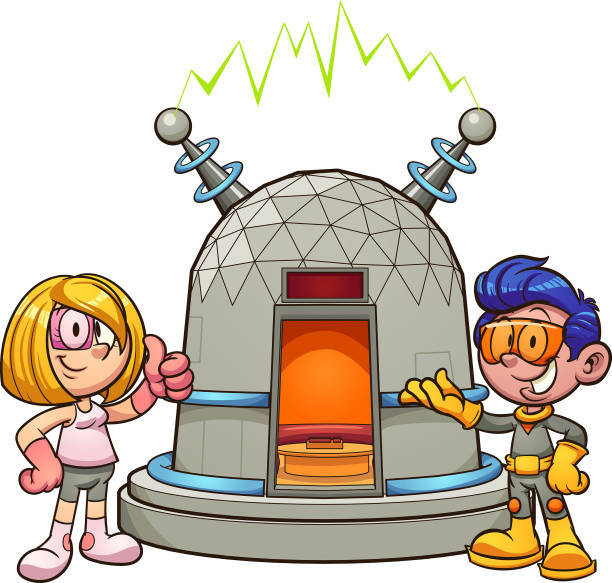 Don't worry though you will always have your friends at Episode Alert to help you find the answers you need, and of course, if your ever in need of verifying some Medicare patients or sending some Medicare claims to one of the MACS, then let us know.